The two Belgians, RomeluLukaku and Christian Benteke dominated the scoring part at Goodison Park on Friday as the latter, Benteke rescued his side with an equalizing goal in a 1-1 Premier League draw against Everton. The former Chelsea striker, Lukaku maintains his shining form as the he scored his fifth league goal of the campaign, but Everton were unable to bounce back from last Saturday's defeat at Bournemouth, as Christian equalized after the first half to grant Crystal Palace a point. Ronald Koeman has turned out to be one of the standout managers of the Premier League in recent times. The Dutch coach was able to mark his name in the history-books of Southampton as he guided the team to their best finish of any Premier League season. During the 2015-16 Premier League season, Southampton finished in 6th place as they secured 63 points which was more than any other season in the history of the club. What Next for Lukaku and Everton? How optimistic would the average Everton fan need to be to think that Romelu Lukaku is going to stay at the club for another season? Very optimistic, would be the short answer to that, with even the arrival of a wealthy and ambitious new owner in the person of Farhad Moshiri, not to mention new manager Ronald Koeman, probably not being enough to persuade the striker to stay. 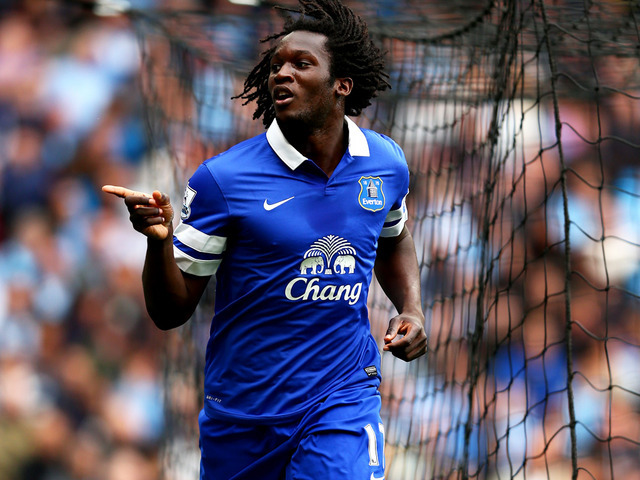 Read more about What Next for Lukaku and Everton? Roberto Martinez put foot down and sent a clear message across that no matter how high an amount gets offered, Everton is not going to sell John Stones this summer. It’s been a very interesting situation at Everton regarding Stones. Chelsea, the England top tier champions made as many as three bids for the young defender, and Stones himself let his current employers know that he wanted to move to Stamford Bridge, but still the move didn't happen. Everton are looking to use the Europa League as a mode of distraction from their poor league form and a way to get into the Champions League next season. Everton secured three points for only the second consecutive time this season after a 3-1 win over Burnley on Saturday. The win was hugely helped by the two goals from Samuel Eto’o, who also came extremely close to getting hat-trick after hitting the post. The former Chelsea man has not been a regular goalscorer, but his contribution has been immense according to Roberto Martinez. The Everton manager claims that the 33-year-old is a gift from God because he has not only been able to contribute on the pitch, but also off it as well. Everton defender Seamus Coleman, who was named in the PFA team of the year for last campaign, has heralded the impact of manager Roberto Martinez. Everton looked to have reached their potential – for the budget they have – under David Moyes and it was feared that the club would slip from the high standards when the Scot left the club last summer in order to join Manchester United. Roberto Martinez came to the club after having just experienced a relegation with Wigan, but he has managed to take the club to even greater heights. Everton manager Roberto Martinez has revealed that he wants at least six new players at the club next season in order to target Champions League qualification. Everton are most likely to be involved in the Europa league next season, which will put a huge strain on the resources at the club. Martinez has done wonders with the Everton team this campaign. They have not only played an attractive style of football, but they also still in contention for a top four spot with six matches remaining.